I am really looking forward to performing on Saturday 2 August in Chamberlain Square, Birmingham as part of Néle Azevedo’s Minimum Monument project, an open air exhibition displaying 5,000 figures made of ice. Minimimum Monument is part of the City’s celebrations commemorating the centenary of World War One. Néle’s work deliberately celebrates the common man; the exhibition will honour not only those who fought in WW1 but all those that contributed including families who made a sacrifice. The Minimum Monument project is a critical reading of the monument in the contemporary cities. In a few-minutes action, the official canons of the monument are inverted: in the place of the hero, the anonym; in the place of the solidity of the stone, the ephemeral ice; in the place of the monumental scale, the minimum scale of the perishable bodies. 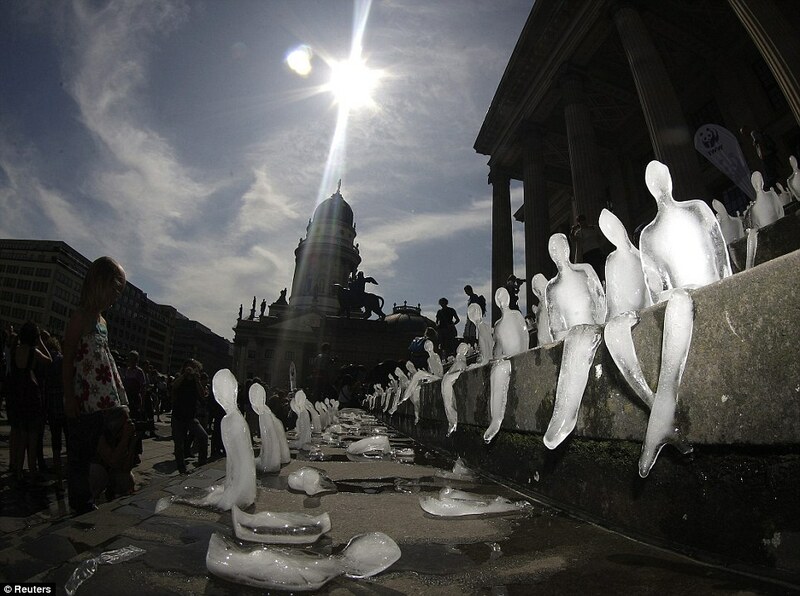 Thousands of small sculptures of ice are placed in public space. The memory is inscribed in the photographic image and shared by everyone. It is no longer reserved to great heroes nor to great monuments. It loses its static condition to gain fluidity in the urban displacement and in the change of state of the water. It concentrates small sculptures of small men, the common men. I am currently dividing my time between the creation space (recording sound material), my studio (preparing the sounds for performance) and my kitchen (experimenting with microphones and ice). Minimum Monument starts at 1pm on Saturday when the public will be invited to place the ice sculptures on the steps of Chamberlain Square. I will be performing at around 2pm until the ice has melted.